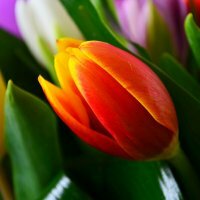 Tulip varicolored(35 pt. 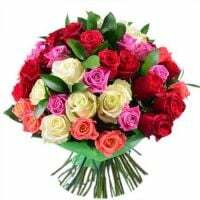 ), Packing(2 pt. ), Tape(1 pt.). 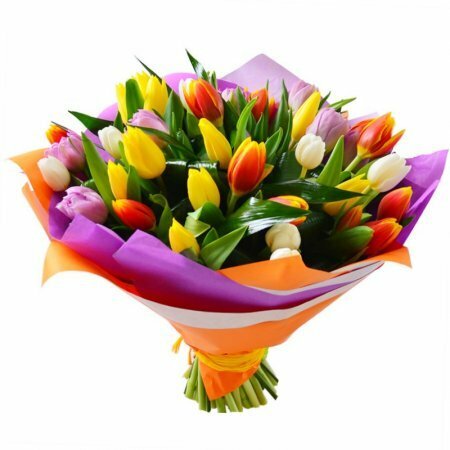 Birthday, Business, Classic bouquets, Colleague, For grandmother, For her, For him, For mother, For young lady, Gratitude, I Miss You, New-born, Sorry, Teacher, Wedding Day, Wedding flowers, Аnniversary. 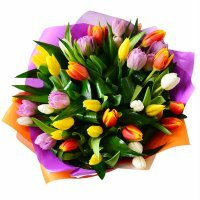 The breathtaking mix of 35 tulips is elegantly decorated with colored translucent paper. 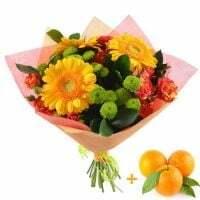 The wonderful bouquet breathes spring, freshness, and happiness! 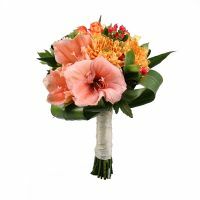 The composition "Amsterdam" is sure to please everyone who loves natural flowers. 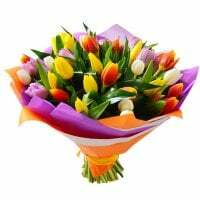 The riot of colors and fragrances will delight your mom as well as wife and daughter. 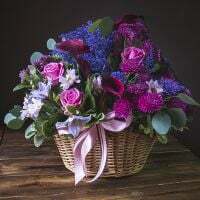 Such a gift will be a source of good mood and positive emotions on Birthday, Women’s Day or Valentine's Day. 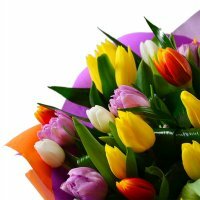 Present your family and friends with lovely tulips - bright and gentle greetings from spring days.